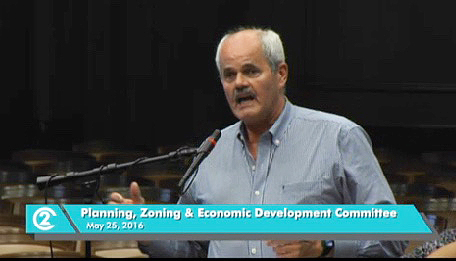 Tom Platt of the Heart of Westport neighborhood spoke in favor of a CID on Broadway at city hall yesterday. 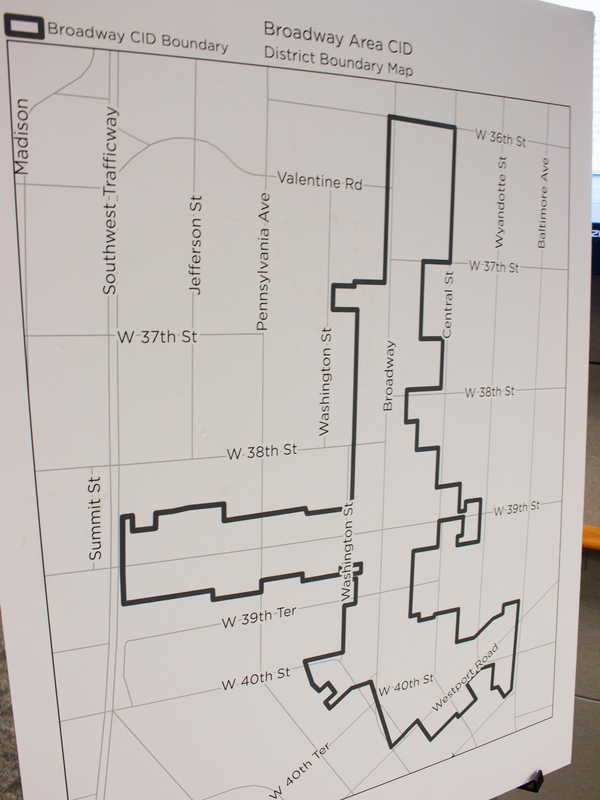 There are community improvement districts along on Main and 39th Streets and in Westport, but not on Broadway. The city council is expected to close that so-called donut hole in a final vote today that advocates say will help unify Midtown. The planning and zoning committee on Wednesday approved creation of a Broadway CID district and advanced it. A one-cent sales tax collected in the district area will go toward things like security, marketing and upkeep. Tom Platt, chairman of the Heart of Westport Neighborhood Association, said it is much needed in an area caught uncovered in the donut hole between the Westport and Main Street CIDs. Diane Burnette, director of MainCor and the Main Street CID, said adding a Broadway CID will allow the various CID groups to work together and better unify, secure and improve Midtown. The Broadway CID boundaries are generally along both sides of Broadway from 36th Street to Westport Road, with branches extending west on 39th between Southwest Trafficway and Wyandotte Street and on Westport Road to Baltimore. For one thing, the contingent CIDs will help maintain a safe and clean walking area on 39th Street from Main Street to the state line, Burnette said. Greg Patterson, owner of the Uptown Arts Bar and of historic properties on Broadway, said the Broadway CID group will contract with MainCor to operate its district. Councilman Quinton Lucas said the ties between the Midtown CIDs will help the entire city, University of Kansas Hospital and other places. “This is really a kind of crossroads for a number of different areas in Kansas City,” he said.